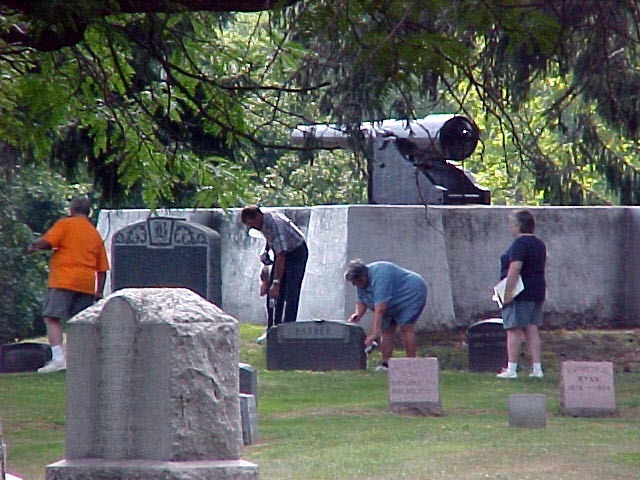 The Friends of Nunda Cemeteries is a not for profit group dedicated to the preservation of the seven cemeteries in the town of Nunda, including Oakwood Cemetery. 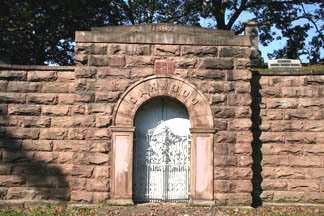 Although not officially affiliated with Oakwood, the two groups work closely in research and preservation work. For more information on the Friends, as well as a membership form, go to their page at the Nunda Historical Society website. 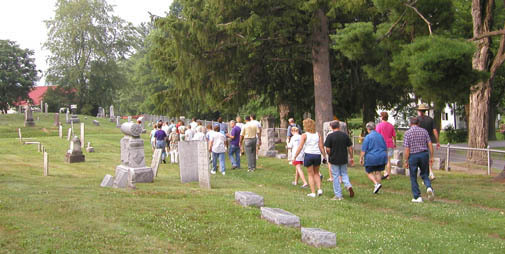 Above: Members of the Friends of Nunda Cemeteries clean up near Oakwood's Soldier's Monument; Left: A tour sponsored by the Friends heads toward Oakwood's oldest sections for some storytelling.